SUSTAINABLE COMMUNITIES - Abraham Paiss & Associates, Inc.
Community is the secret ingredient of sustainability. It’s estimated that 10,000 people turn 65 every day (source: Alliance for Aging Research). With people living longer and having less finances to work with, our society needs new housing ideas for our aging population. One solution are shared cooperative homes (co-ops) where residents have their own bedroom and bathroom and share use of common areas such as the kitchen, dining area, living room, laundry, plus the outside grounds and garden area. APA is currently working with Sustainable Paths, a non-profit organization whose mission is to create a caring and affordable housing solution for active older adults and people of all ages. The City of Boulder recognized Sustainable Paths as an Expert Cooperative Housing Organization (ECHO) that can certify co-ops. APA principal Neshama Abraham serves as the Executive Director of Sustainable Paths, and is actively working to help more affordable rental and non-profit co-ops happen in Boulder. Click to learn more here about Sustainable Path’s ECHO certification. APA provided consulting services to Harmony Village a 27-home cohousing neighborhood in Golden, CO.
Community-based housing provides a solution for the untenable “nuclear family” where current housing models are unsustainable for raising children with two full-time working parents or for elders who may be aging in isolation. 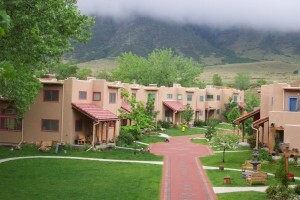 The United States has more than 100 completed cohousing communities. APA has provided consulting services to help two dozen cohousing projects get built over the past 20+ years in AZ, CA, CO, KS, MA, NC, UT. Please see Client List of communities APA has helped create. APA manages the marketing communications program, group process training, education and member outreach, and provides sustainable development consulting for projects in Colorado and across the United States. Download a PDF of APA Services. APA principals Zev Paiss and Neshama Abraham not only help develop intentional communities, they live in one. Neshama and Zev were part of the development team for the 11-household Nomad Cohousing Community in Boulder, CO, where they have been residents since November 1997 and raised two adult daughters. Their daily life in a planned eco-conscious neighborhood gives them valuable perspective on functional design for individual homes, shared common spaces, neighborhood site design, energy-efficient construction, and social agreements amongst residents. Zev served as the founding Executive Director of the Cohousing Association of the United States, an organization he ran from 1997-2001. Prior to this, Zev started and served as president of the Rocky Mountain Cohousing Association from 1991-1997. Zev has a background in environmental planning and brings his expertise in sustainable land use design and planning, energy-efficient systems, mixed-use development, and renewable energy. Since 1995, APA has helped create new models for multi-generational and age-targeted communities in Colorado and across the U.S. They work with developers, builders, architects, landowners and future resident groups on innovative and sustainable housing solutions including multi-generational cohousing neighborhoods, elder communities, and shared group homes. Their experience spans New Urbanist neighborhoods ranging from several hundred homes to cohousing communities as small as a dozen households. 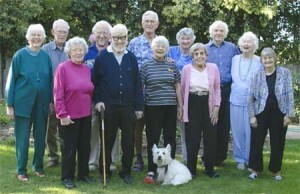 Founding members of Glacier Circle neighborhood in Davis, California. Elder or Senior Cohousing communities are age-targeted cohousing neighborhoods for older adults age 55 and above. We coined the term “aging in community” and are the founders of the Elder Cohousing Network. We have trained and led workshops to more than 125 building and development professionals, long-term care experts, land owners and future residents on creating elder-rich communities for elders to age in their on home within a caring community of neighbors. Elder cohousing communities we’ve collaborated with include Silver Sage Village (Boulder, CO), Elder Spirit (Abingdon, VA), and Glacier Circle (Davis, CA). A common sense model that allows folks to live under the same roof affordably and safely is the Shared Group Home. For several years, we have consulted with homeowners and older adults to help these homes come into being, such as Marianne Kilkenny, founder of Women for Living in Community. Zev was the founding Executive Director of the Cohousing Association of the United States from 1997-2001. In 1995, he produced the 15-minute Neighborhoods for People, an introductory educational video about cohousing communities that is still used extensively in the U.S. and internationally. Zev and Neshama also created the 30-minute video and handbook Developing Sustainable Neighborhoods for Today’s Housing Market to assist developers and builders learn about the cohousing development process. We thank the Wallace Global Fund for providing funding for this project. APA principals have presented at national building and aging conferences across the U.S. including: the Congress of New Urbanism, Urban Land Institute, Positive Aging Conference, National Association of Home Builders, American Society on Aging, National Council on Aging, Unitarian Universalist General Assembly, Washington State Housing Alliance, Center for Creative Retirement, National Cohousing Conference, Mid Atlantic Cohousing Conference, and the Boulder County Area Agency on Aging.